Newport is celebrated for its unique intermingling of the past and the present. Anchoring the city to its bustling beginnings as a preeminent colonial seaport? Bowen’s Wharf. 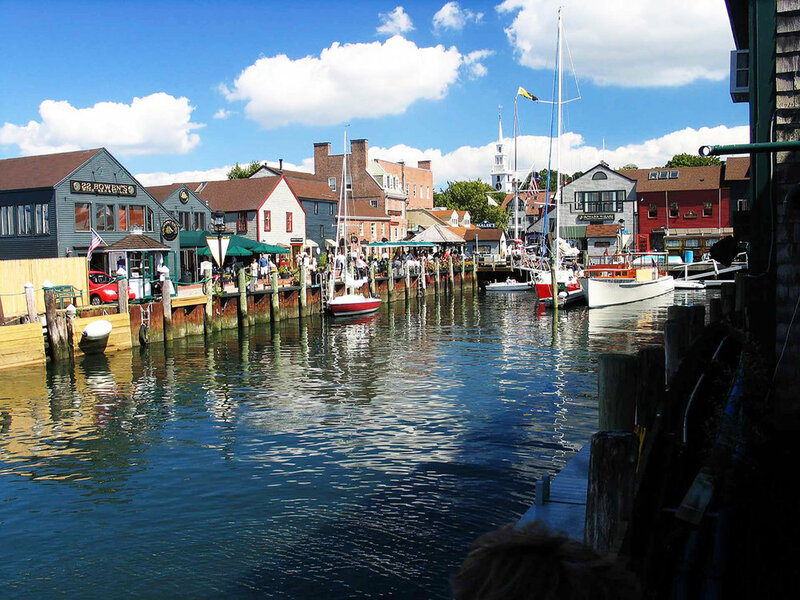 No trip to Newport is complete without a stop at this beloved attraction, and we can think of no better time to schedule your visit than during the 26th Annual Bowen’s Wharf Seafood Festival this October 15th and 16th. Newport may initially bring to mind thoughts of all things gilded and glittery, but long before it was a playground for the rich and the famous, it was a maritime epicenter credited with playing a critical role in the evolution of modern-day American capitalism. While Bowen’s Wharf bustles all year long, the annual seafood festival puts its many charms on decadent display. Now celebrating its 26th anniversary, this family-friendly event honors the region’s remarkable “Harvest of the Sea” with local restaurants and the RI Shellfishermen’s Association joining forces to serve up the most captivating catches that Rhode Island waters have to offer. But while seafood may be its headliner, the Bowen’s Wharf Seafood Festival is about much more than food. Perhaps Bowen’s Wharf Company President Bart Dunbar puts it best in saying, “It is a time to celebrate our neighboring restaurants, seafood businesses, talented musicians, and the remarkable City by the Sea.” Colorful tents, live music (bring your dancing shoes! ), and interactive water and art activities add up to two days of non-stop food, fun, and festivity. There’s a reason why Bowen’s Wharf is a perennial winner on lists of must-do destinations in Newport. Factor in the Bowen's Wharf Seafood Festival’s status as one of the “10 Fabulous Fall Festivals on the Coast” (we couldn’t agree more, Country Living! ), and we can think of no better place to be this October. After all, 8,000-10,000 annual revelers can't be wrong. And did we happen to mention that this event is free and open to the public? Just one more reason not to let the 26th Annual Bowen's Wharf Seafood Festival be "the one that got away".